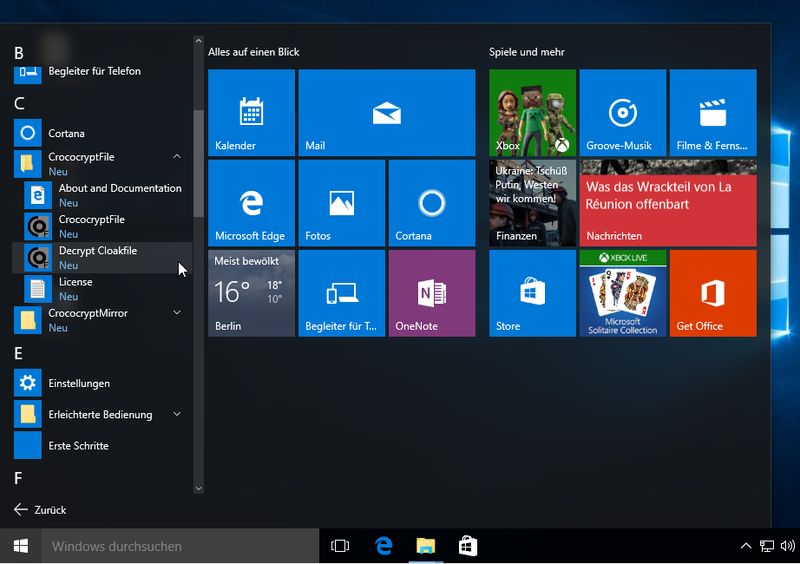 Explanation: 1) leaves the console immediately (no feedback), 2) provides a console until the process is finished. 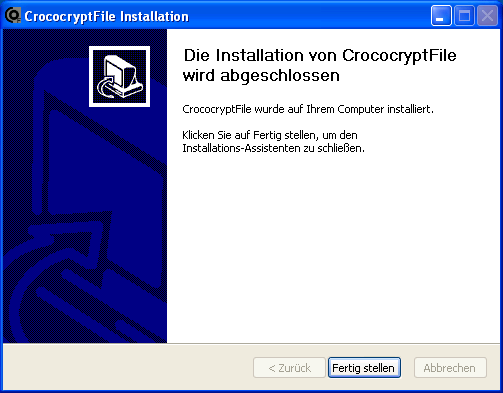 With Linux/Mac you would use the script "croco" in the according download package. 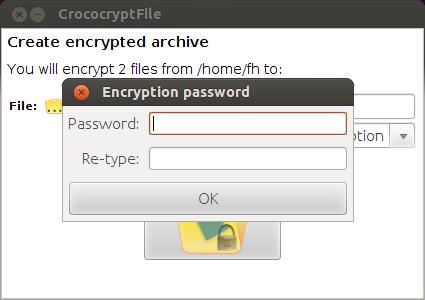 You do not need to specify all options. 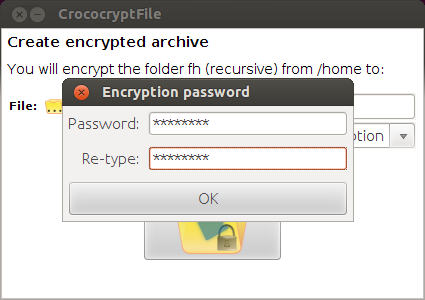 For instance, the password ("cred") could also be omitted. 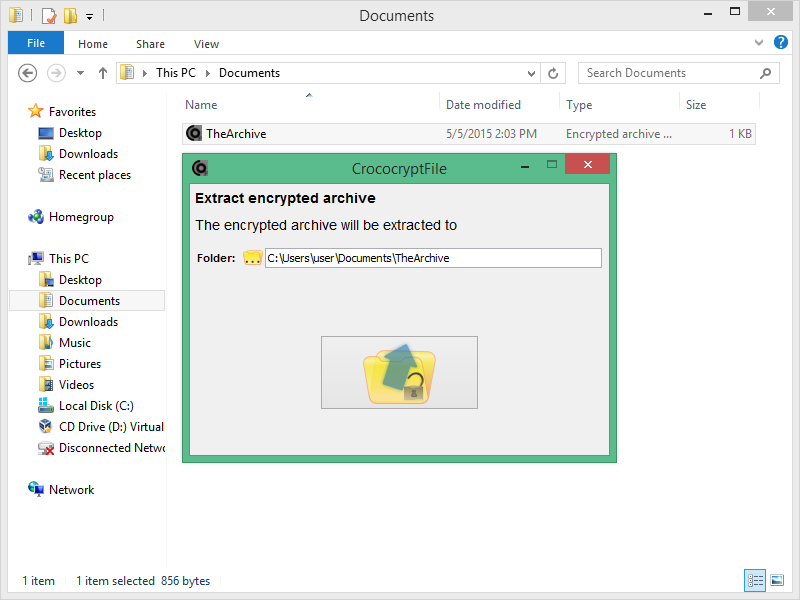 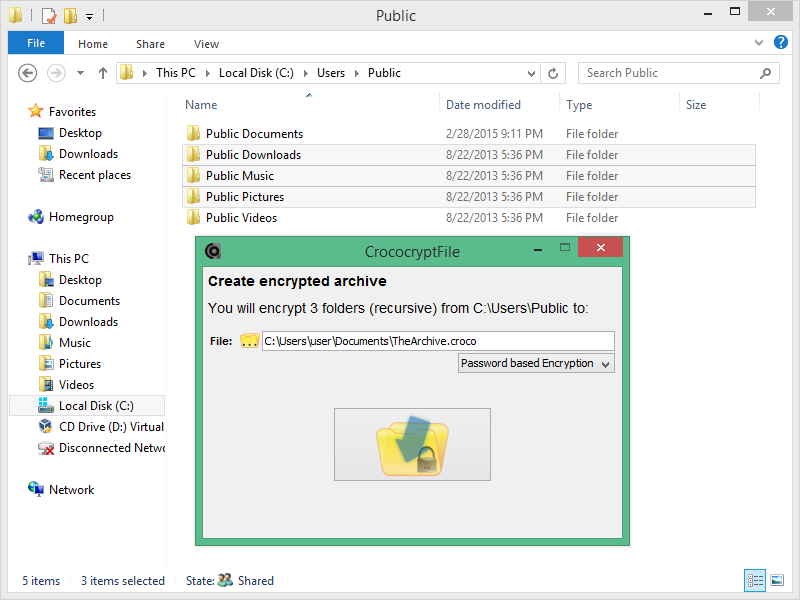 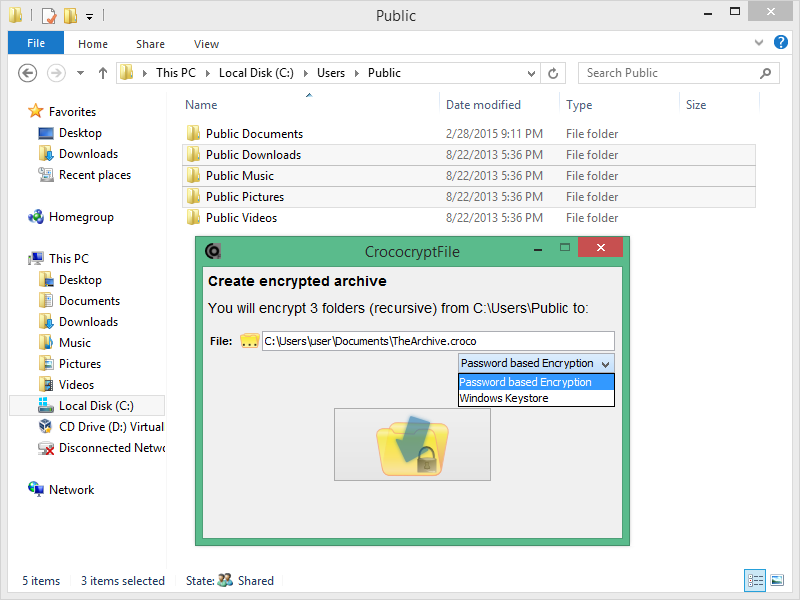 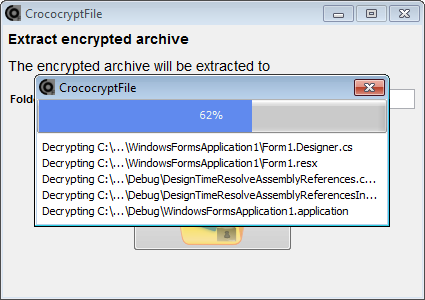 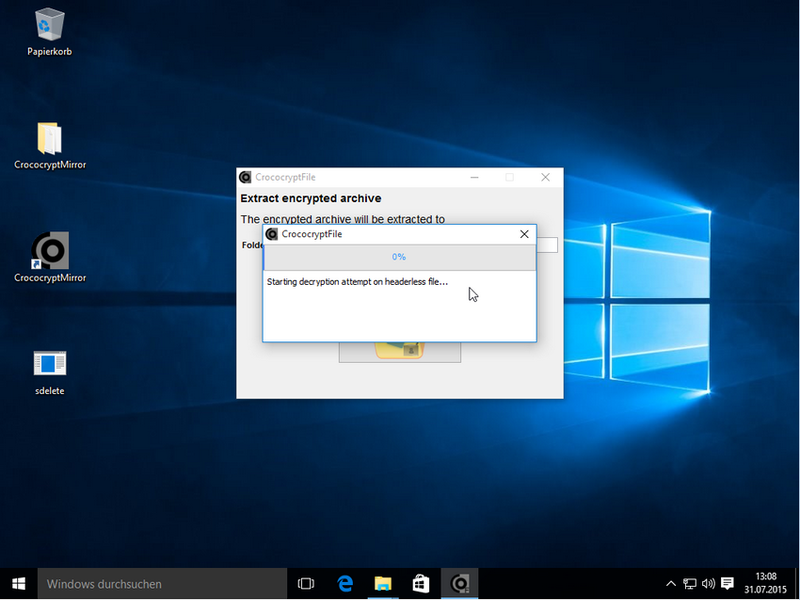 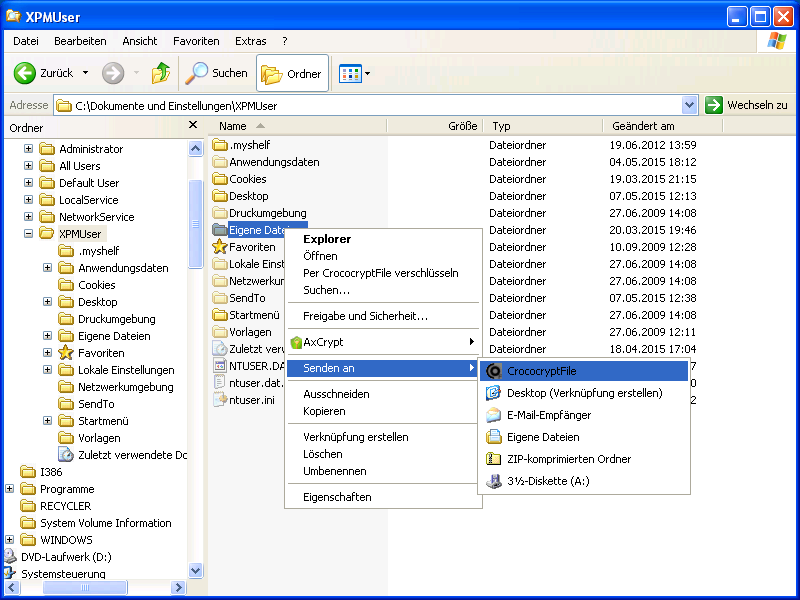 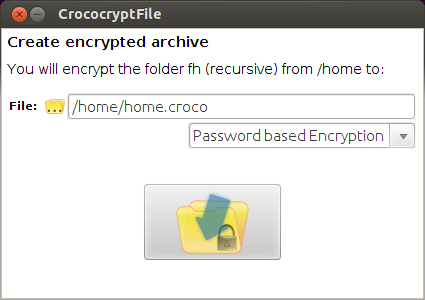 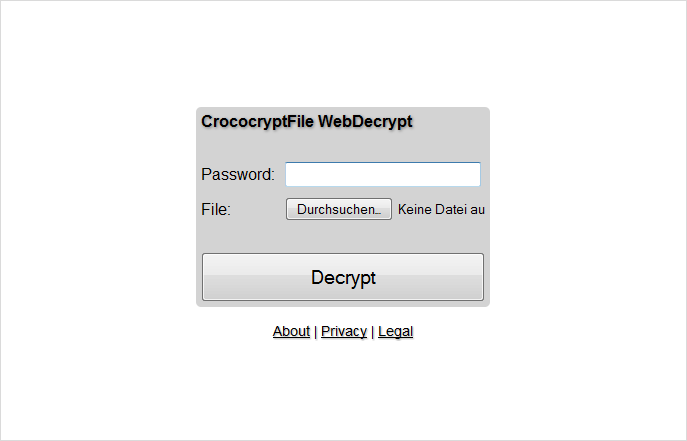 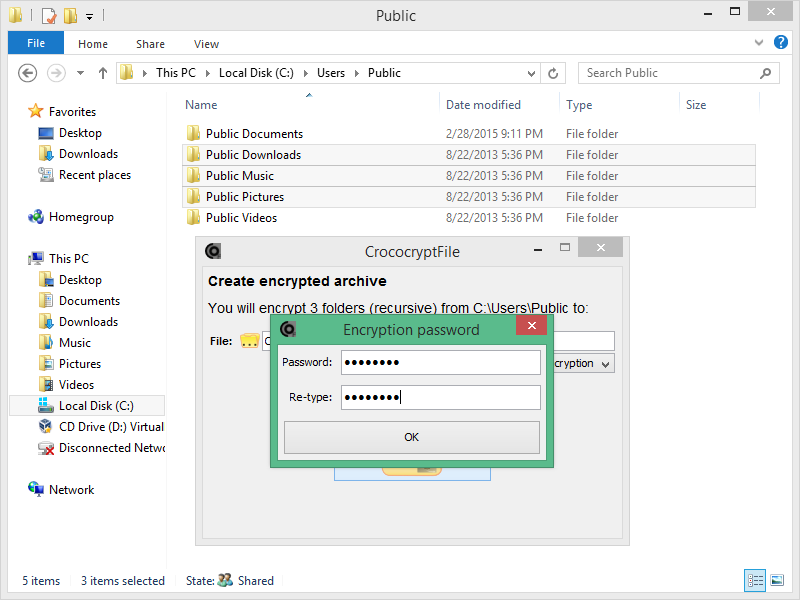 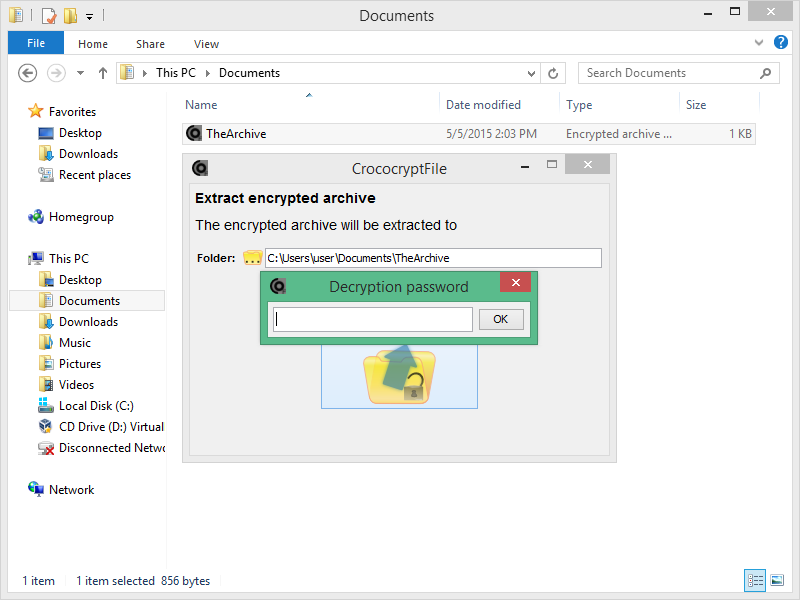 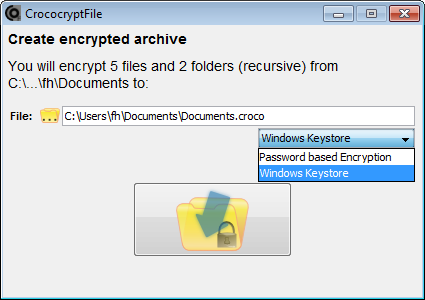 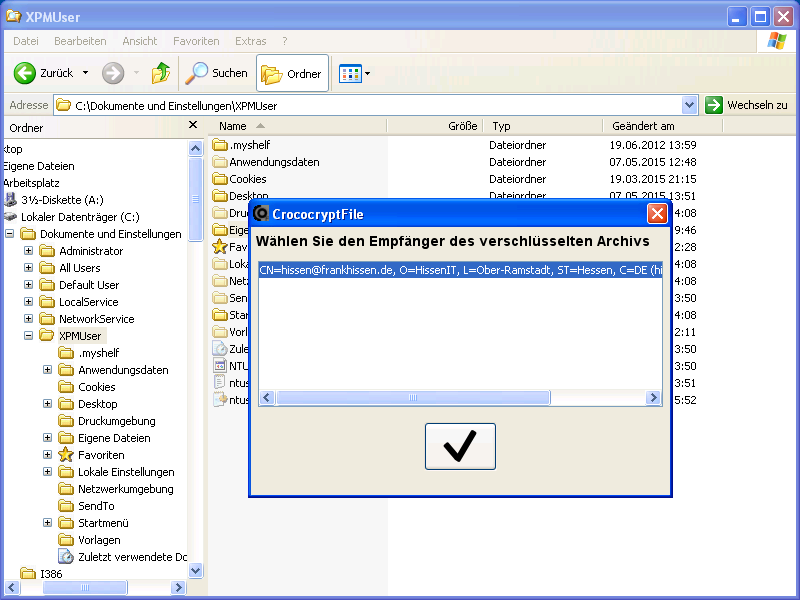 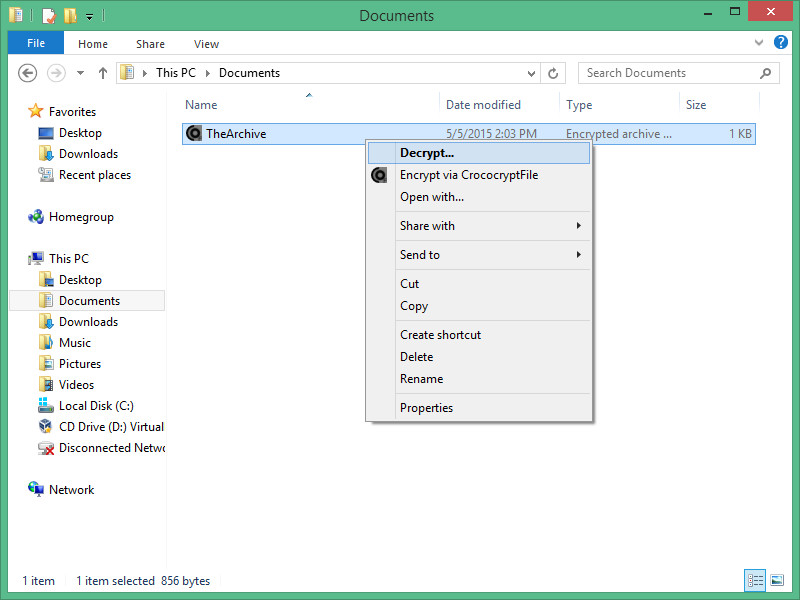 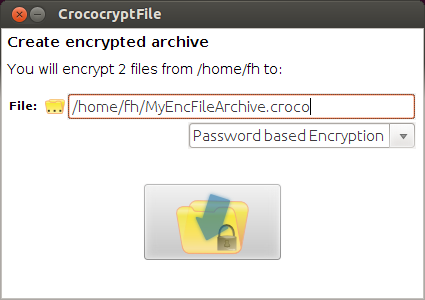 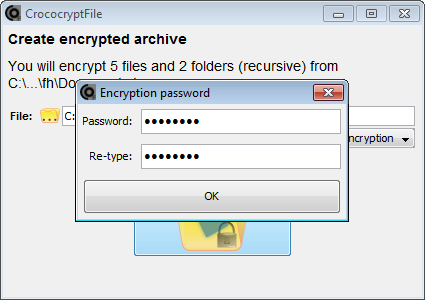 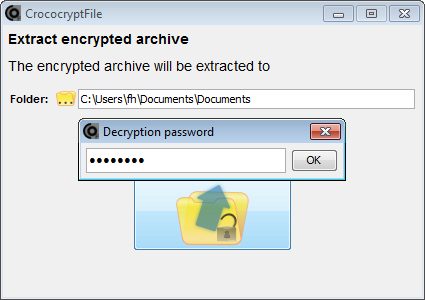 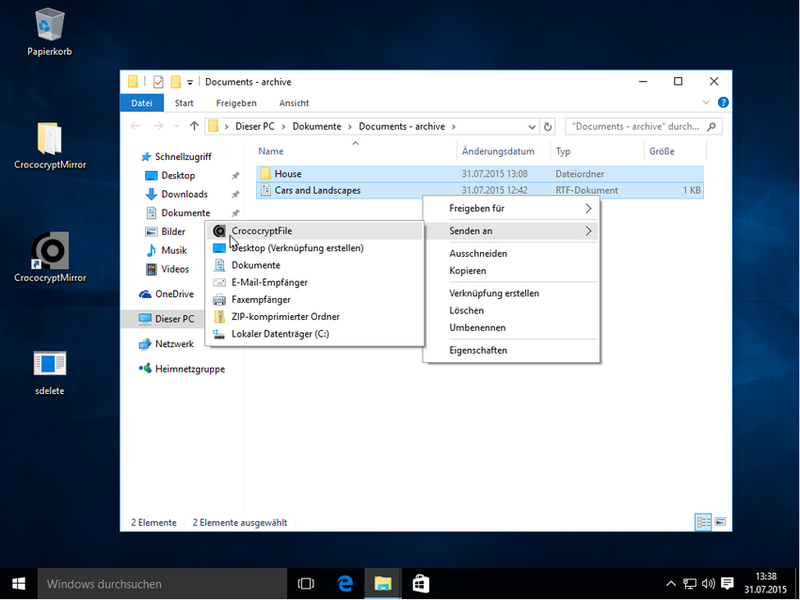 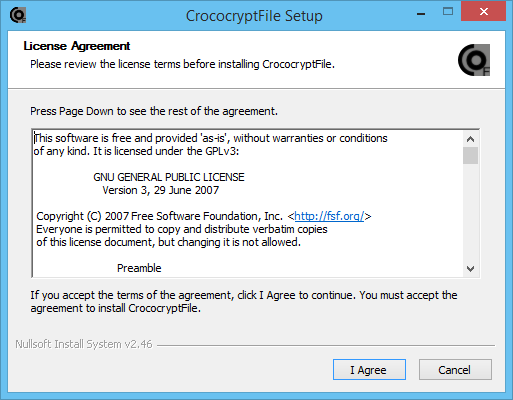 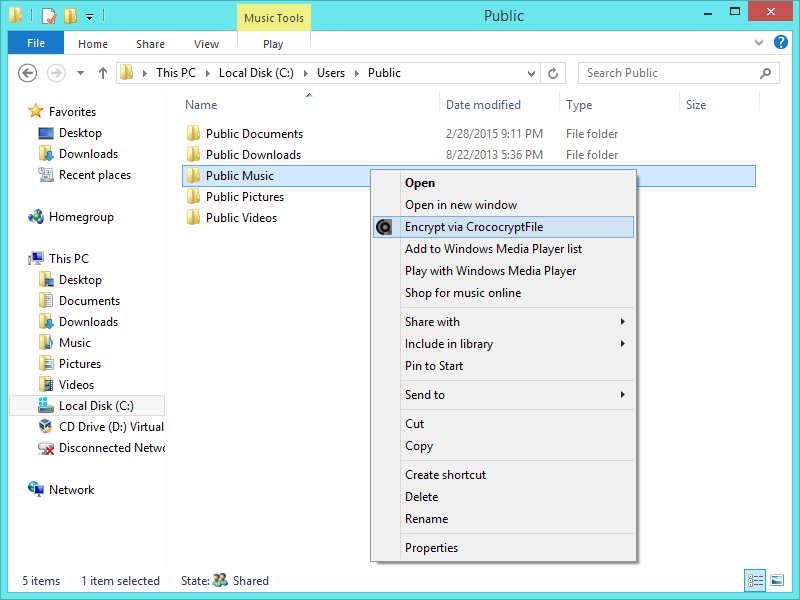 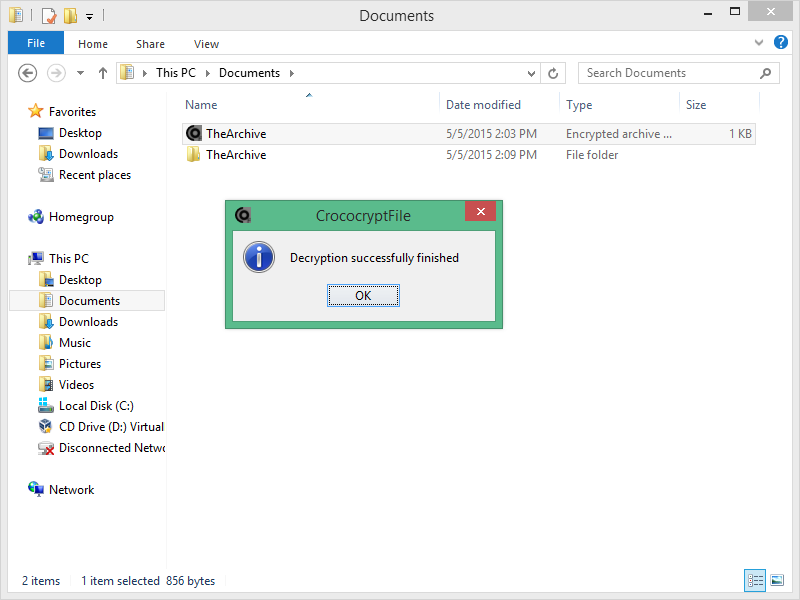 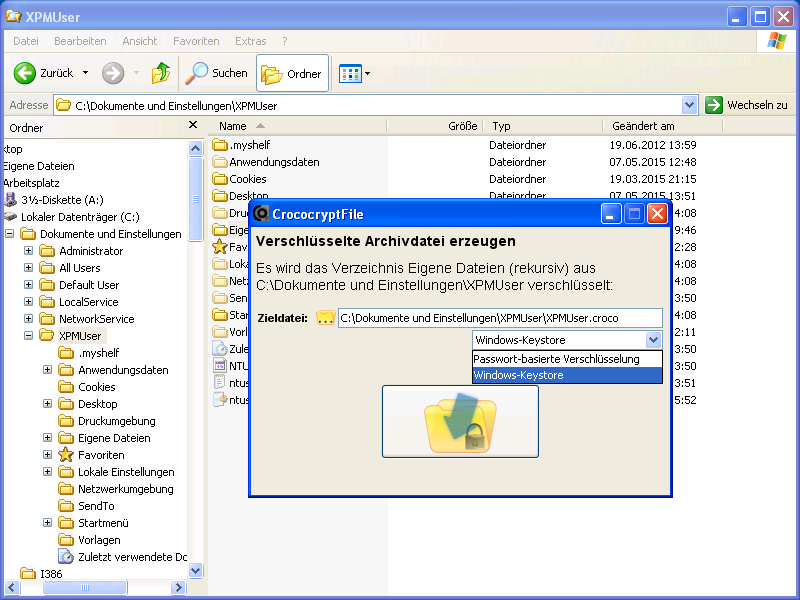 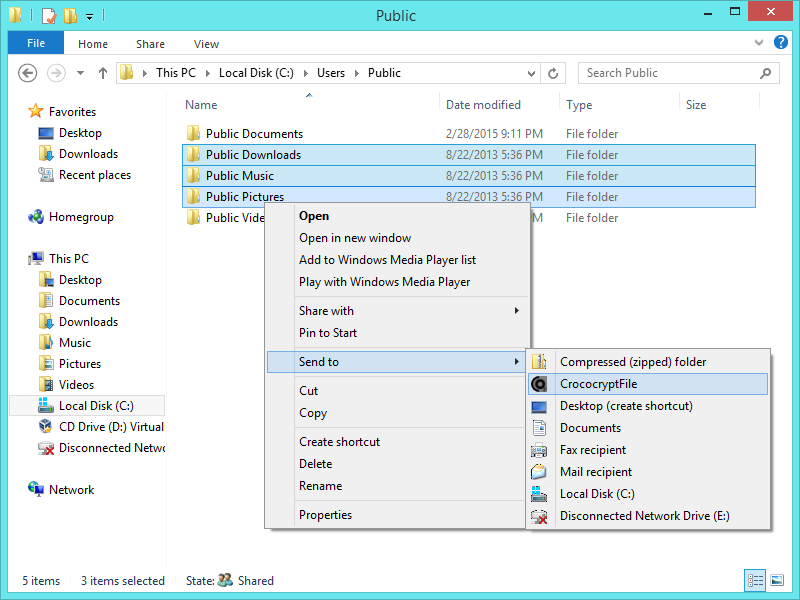 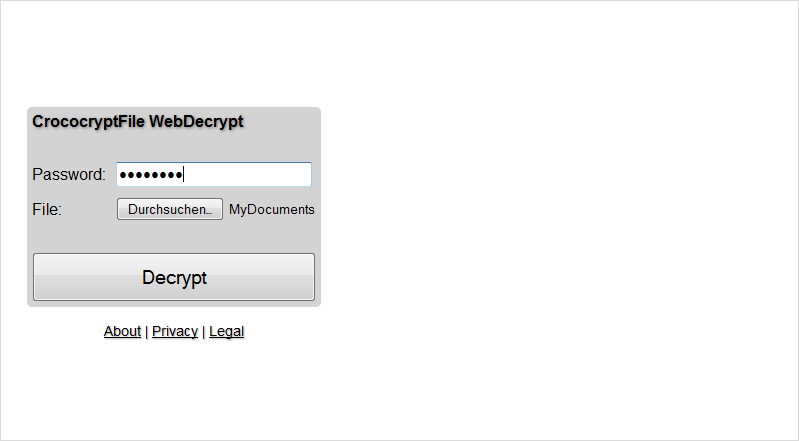 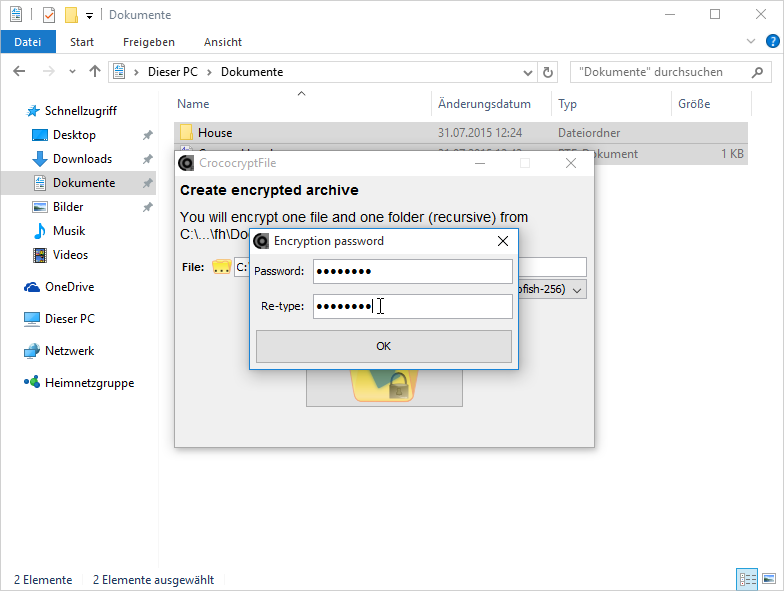 CrococryptFile with then ask for the missing input.